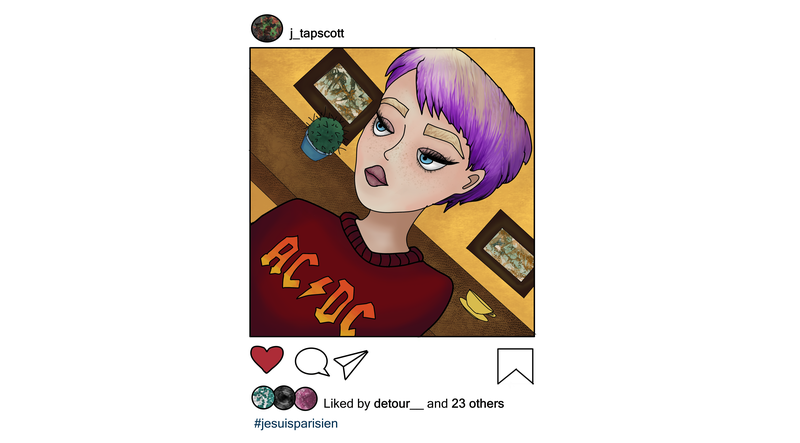 Despite having spent more than $2000 to fly from Sydney to Paris, Janelle Tapscott has amazed her Instagram followers by doing exactly what she would do on a regular day in her hometown. The day after landing in the French capital, the 23-year-old arts student’s social media feed was so similar to what she posts every day that her friends wondered if she’d actually left. “She may as well still be in Newtown sipping organic soy lattes and identifying the need for trigger warnings in her university textbooks,” Insta friend Parmina Singh told The Tragic Traveller. Singh admitted she was at her wits’ end after having scrolled through an afternoon worth of close-up selfies taken against indistinct backgrounds accompanied by the hashtag #sightsofparis. At the time of publication, Tapscott had bucked the trend by drinking a pint of Fosters at a Walkabout pub, something no rational-minded Australian would ever, EVER do.